Air Duct Cleaning New Jersey: Welcome to J.R. Air Duct Cleaning! Summer is quickly approaching, and with summer comes the need for central air conditioning. Before central air conditioning, humans suffered in the heat. Electricity made fans possible in the late 1800s, and respite was finally seen in 1902 with the invention of the first modern air conditioning system by a 25-year-old. Before you turn on your central air conditioning, J.R. Air Duct Cleaning in New Jersey would like to encourage you to have your residential and commercial air ducts professionally cleaned. This not only promotes energy-efficiency, but it helps with everyone’s overall health and well-being. We also offer commercial and residential dryer vent cleaning. Below, we’ll review our services. Contact us today to get started! Air is essential to survival, and since you spend a lot of time in your home and business, you want to be able to breathe easy. Air duct cleaning removes dust and contaminants from your ductwork and keeps the air you breathe clean and smelling fresh. If you have allergies, or seasonal allergies that flare up, air duct cleaning can remove the particles in your air that is contributing to allergy irritation, such as pollen, mildew, pet dandruff, dust, and hair, as well as bacteria and mold that may be in the air. Air duct cleaning can lead to less illnesses, which is very important for businesses to keep their employees healthy and productive while at work. If you can imagine all the things you get on your clothes (or better yet, what your kids get on their clothes), then you can imagine all that your lint can contain. From spilled ketchup, dirt, and mud to blood from a bloody nose, food, and germs, your clothes carry a lot of nasties that can add up quick. Having your dryer vents cleaned by a professional residential or commercial dryer vent cleaning company such as J.R. Air Duct Cleaning in Hackensack is imperative to rid your environment of these pollutants that can escape into the air you may be breathing in. Furthermore, lint buildup is the perfect kindling to a fire, which could cause major damage to your home if one started. 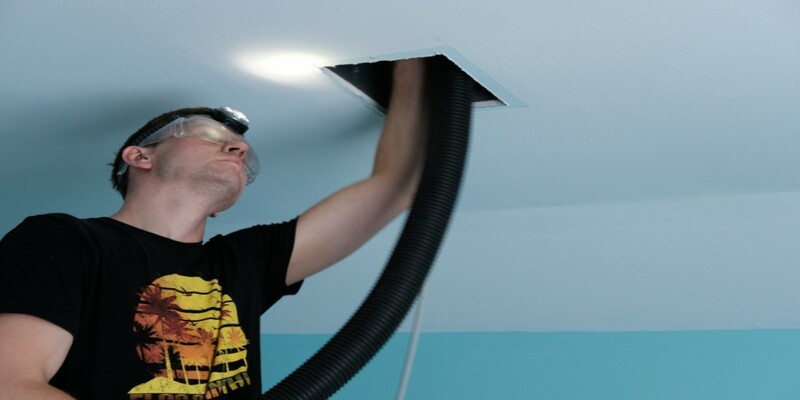 J.R. Air Duct Cleaning in New Jersey recommends having your air ducts and dryer ducts cleaned on an annual basis. Right before you power up your air conditioning is a good time to have both done. Air duct cleaning keeps your environment free from allergens, irritants, and other unpleasant odors. Dryer vent cleaning minimizes the risk of a fire from lint buildup and helps you to save money on utility bills when your dryer is operating efficiently. We use our air systems and our dryers on a daily basis to perform daily chores that would be much harder without. It’s important to maintain these systems through a simple cleaning. Air duct and dryer duct cleaning does not take long, and we can schedule times that are convenient to your work or business schedule. Contact us today!